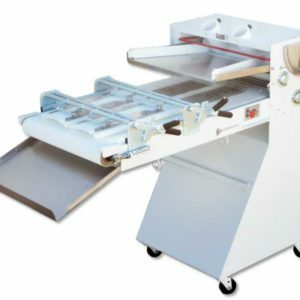 Description: The Rondo Cutomat is a dough sheeter with integrated cutting station – the perfect solution when the available space is limited. 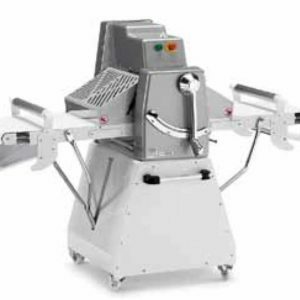 In five simple steps, you process all types of dough to create fine pastries of first-class quality – efficiently, uniformly and reliably. The dough is sheeted gently. You switch to cutting speed. The dough sheet is cut to the desired shape. 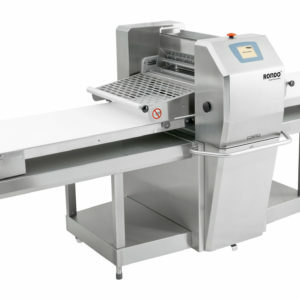 You fill and fold the pastries on the outfeed conveyor belt.